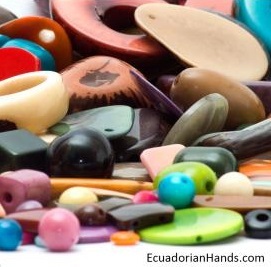 Huge While Stocks Last Tagua Bead Sale! Long time readers will remember that I wrote about natural tagua nut beads from the ivory palm tree from time to time. Ecuadorian Hands also sponsored a number of past giveaways. I enjoyed using these natural beads to create unique designs and more importantly to help raise awareness of the terrible plight of wild elephants and rhinos in Africa. However, this might well be my last tagua bead post. 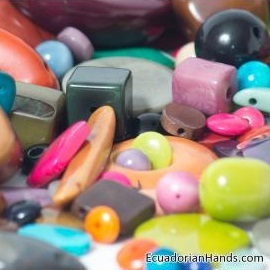 Ecuadorian Hands are having a huge while stocks last tagua bead sale. These are large bundles. When they are gone, they are gone! They are moving towards a custom order production only (with minimum orders) and are thus shuttering their retail business. What a shame! They have such beautiful products. It's really sad - isn't it? They are still selling them but only for wholesale custom orders. Thank Pearl for sharing these wonderful beads and helping the elephants live. Happy Holidays and Happy New Year soon. Happ Holidays to you too! And may 2016 be a good one for you. 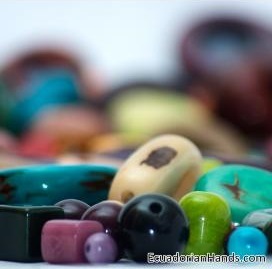 If time permits, I will continue to make tagua bead jewelry and sell them to help the elephants and rhinos.